Star Wars Rebels‘ final season concluded this week in inevitable fashion – with the show’s ragtag band of Rebels making a noble last stand against the might of the Galactic Empire. The series exceeded expectations and ended up giving us some of the finest stories outside of the films and now, to mark its end, the cast and crew have been reflecting on their time putting Rebels together, with the latest to share their thoughts being Taylor Gray, voice actor for Ezra Bridger. It seems like a very long time since we first met Ezra as a teenage con-artist with a promising yet undeveloped grasp of the Force. Since then, he’s spent the show gradually honing his command of the Force, ending up as the apprentice of Kanan Jarrus and developing into a promising Jedi in his own right. Given how much Ezra developed over the course of the series, it’s easy to remember that he was initially regarded with suspicion. Fans commenting on YouTube remember him as someone “cringy” who turned into an “amazing character.” The last season in particular turbo-charged his development, finally shedding most of his more obnoxious qualities and setting him up to be a true hero in the Star Wars universe. 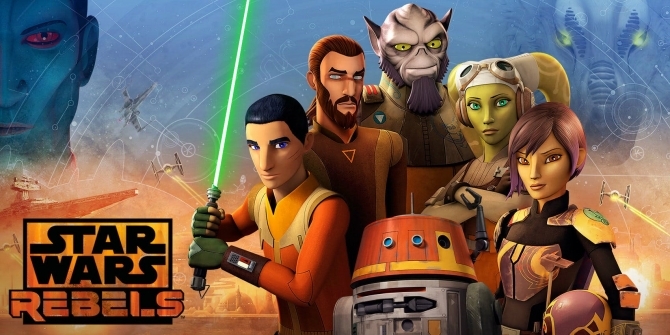 Of course, the big question on everyone’s lips is where next for these characters now that Star Wars Rebels is done? Despite some crossover between Rogue One and Rebels, I doubt we’ll see any of them popping up in Episode IX, but maybe we might get a cameo in Solo: A Star Wars Story. And who knows, if the rumors of another TV show set between Return of the Jedi and The Force Awakens bear fruit, it’d be great to catch up with Bridger and the rest of the Rebels crew and see how the intervening years treated them.